Nilar - An innovative provider of energy storage solutions - has a signed a contract with NIFE, a energy company to start distributing Nilar energy storage solutions in Europe. NIFE is a well-renowned supplier of green solutions for the energy market in Germany, Switzerland and Austria. The partnership has already begun to show dividends. Nilar has received its first order from NIFE for the delivery of energy storages for residential applications in Germany. Three 24 kWh units will be shipped to NIFE at the end of june this year. “The timing for this new agreement couldn’t be better,” continues Wigren. “We recently supplied the Swiss Polytechnique Fédérale de Lausanne with a 72 kWh solution to help power an industrial application together with a solar PV system located on the university roof. This is yet another sign of the maturity of the German speaking market, and I expect to see many more applications utilising the Nilar energy storage solution in the not so distant future. 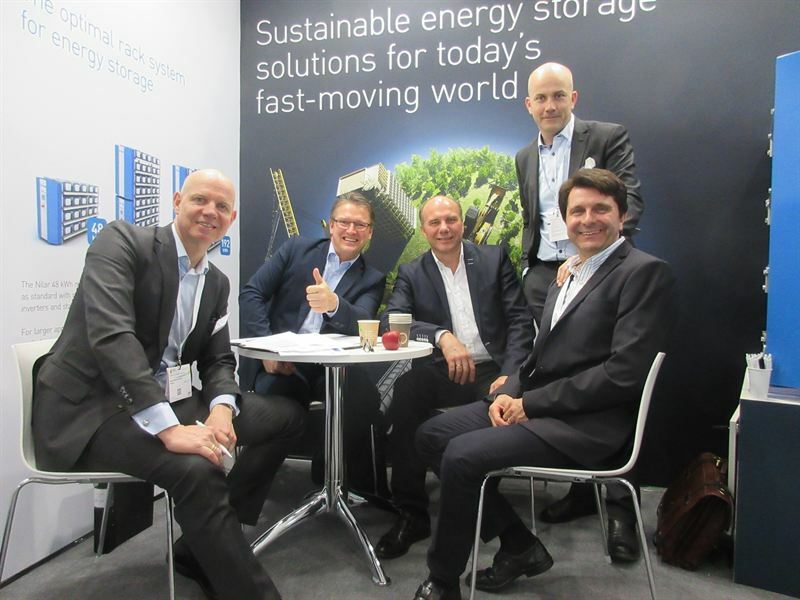 Nilar’s presence in Germany has also been noted by the industry as the company has attended three energy storage trade fairs so far this year. This high-profile presence is all part of the company’s goal of increased market share in the region.